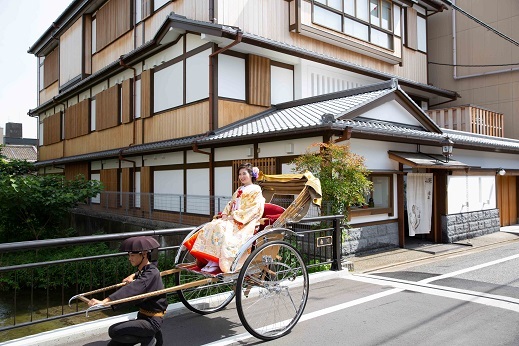 After a wedding ceremony at the shrine or temple, you can ride on “Jinriki-sha” and stop by some points along Shirakawa-River for on-location photography. 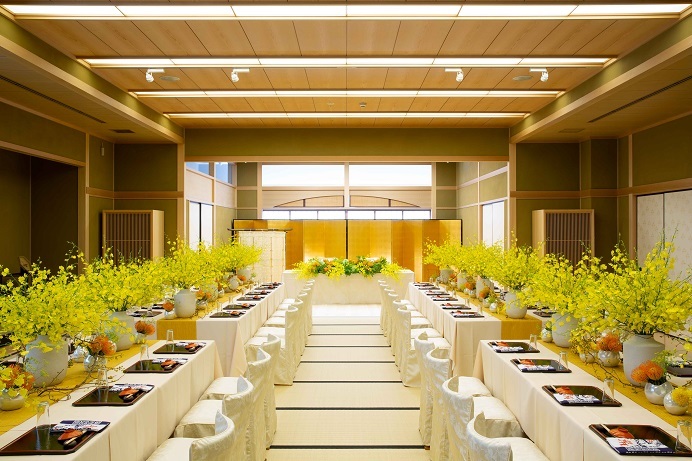 Guests will be wowed upon your arrival at Gion Doi, the venue of the reception. Gion Doi is super conveniently located. 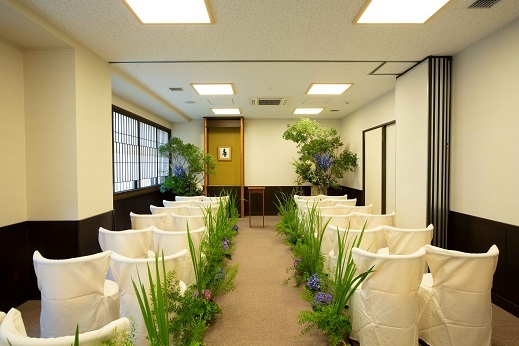 The entire place can be booked, so you can arranged the room to have non-religious wedding ceremony. You feel like you are in the flower garden. We held “LST Wedding fair” at Gion Doi on August 19th. They moved from Kodaiji to Gion last year. It was the second wedding fair we held at “Gion Doi”. 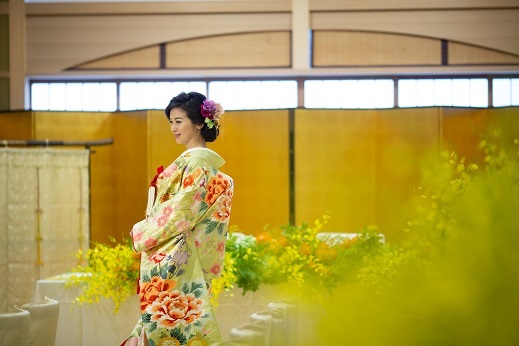 We entertained the guests with various program including a tea ceremony and celebration dance by Maiko. I especially like the moment when entering into “Orchid Room” on the third floor. I cannot help exclaiming with the bright and specious view. I reaffirmed that it’s a great venue for the wedding. We can propose various styles to meet the client’s request. 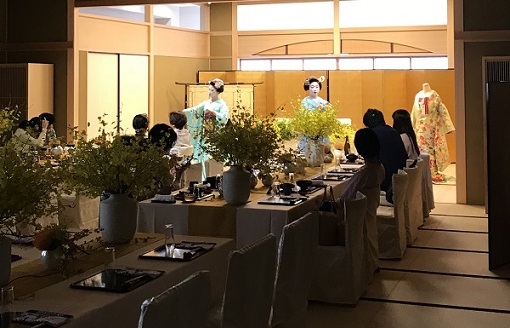 All the staff of LST had a good time with the brides and grooms to be who also enjoyed the meals to taste and the service by Maiko in elegantly decorated room. We would like to express our sincere gratitude to all the couples and their families who joined the fair, Gion Doi and other business partners who cooperated with us.